The River Barle is a beautiful river that eventually joins the River Exe south of Dulverton. 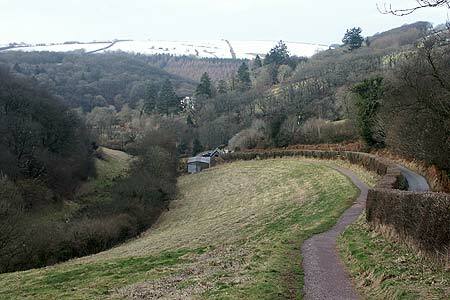 This Somerset walk explores east bank of the river before visiting the attractive village of Withypool. The return route takes to the higher ground offering excellent views over the rolling countryside of this part of the Exmoor National Park.